Only twenty minutes south of Indianapolis, Franklin’s rich history of tradition and innovation makes for an exciting place to visit. Downtown Franklin has tons of main street shops and coffeehouses, like Benjamin’s Coffeehouse & Bakeshop, where caffeine-lovers can sip on an authentic cup of joe. Franklin offers family-friendly fun, too, at the serene Province Park, full of playgrounds, as well as trails, where visitors and locals alike can take a quiet walk or a lively jog. Of course, to experience it all, you’ll need a reliable vehicle. Andy Mohr Toyota has been serving drivers in the Franklin, IN, area for many years. At our used car dealership, we’re proud to offer great pre-owned vehicles, experienced service technicians, and convenient financing options to drivers like you. Learn all about our used car dealership near Franklin, IN, below, and don’t hesitate to contact us with any questions you may have along the way! Our inventory is full of diverse used cars, ranging from coupes and SUVs, to trucks and sedans. 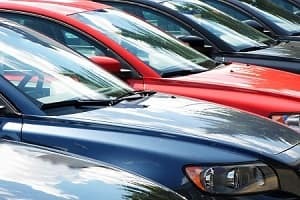 We also carry a large selection of certified pre-owned vehicles (CPO) in many different years and models, so feel free to search through our CPO inventory, as well. You can also browse our inventory of used and certified pre-owned vehicles online. You can narrow down your options by using our search filters, where you can peruse by year, mileage, price, or body type. When one of our models grabs your attention, reach out to us to schedule a test drive. At our used car dealership, we’ll be happy to let you take your dream car for a spin, so you can determine if it’s the right fit for you! At Andy Mohr Toyota we believe in taking the stress and hassle out of car buying. To expedite the process of financing as much as possible, fill out our secure finance application online before coming to visit our used car dealer in the Franklin area. Our finance center is more than happy to walk you through the special financing process, to ensure that process is as easy and as streamlined as possible. Once you make your purchase, we want to help you keep your vehicle running for as long as possible. That’s why we offer a state-of-the-art service center, staffed with experienced technicians. They can assist in anything: From routine maintenance, like oil changes or tire rotations, to more extensive repairs. Regardless of what your vehicle needs done, we use only genuine parts in both our service and collision centers. And, we’ll always work quickly and efficiently to ensure you’re back on the road in no time! 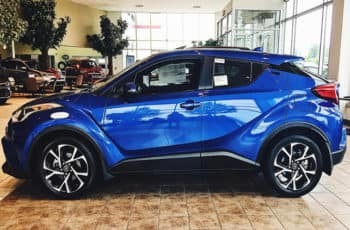 Whether you need more information, or you’re ready to drive off in your new-to-you vehicle, we here at Andy Mohr Toyota are ready to assist you! We hope you enjoyed learning what our used car dealership near Franklin, IN, can do for drivers like you, and we look forward to working with you.